Sheep Yarn Bowl £30 (p&p. if required for this item is £6.50 for standard delivery). Diameter 17cm approx. 1 in stock. 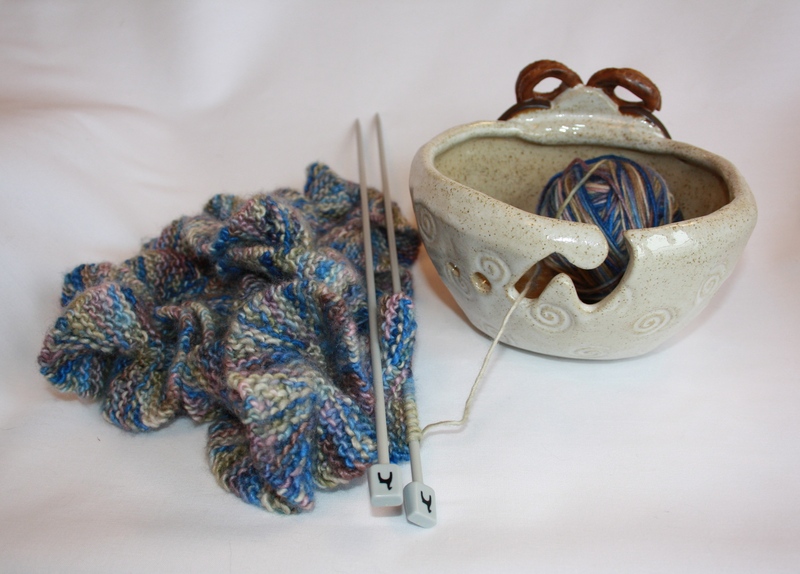 Yarn bowls are all the rage with knitters these days. Ever experienced your ball of wool dropping on the floor and running away from you? Yes? Then a yarn bowl is just what you need to solve the problem – and this cute little sheep bowl is just waiting for you to herd him home! Pop your ball of wool in the bowl, feed the end in to the curly groove at the back and hey presto! 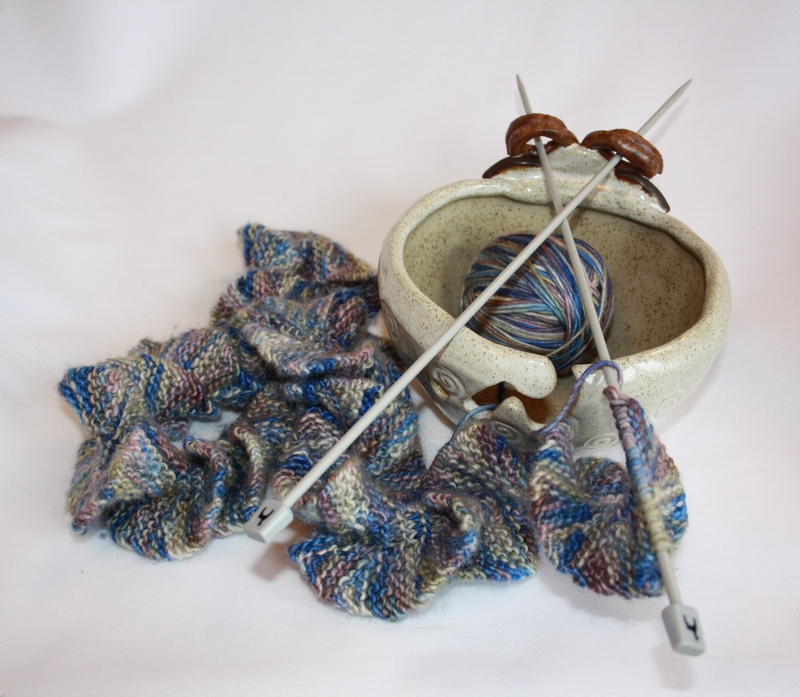 – your yarn is free to feed through the groove as you knit, while your ball of wool is kept within the confines of the bowl. 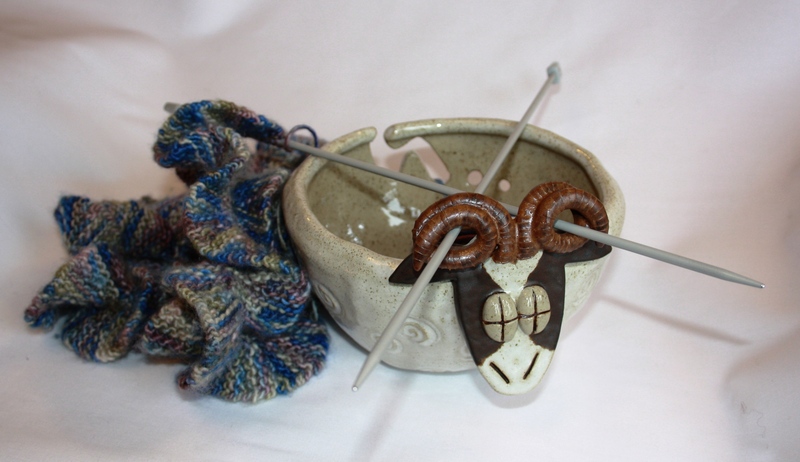 The design feature of the ram’s horns also makes knitting Fairisle patterns possible using your yarn bowl. Feed one yarn through one horn and the other yarn through the other horn!